Þórunn Gréta hlaut grunnmenntun í píanóleik við tónlistarskólana í Fellahreppi og á Egilsstöðum og lauk stúdentsprófi frá Menntaskólanum á Egilsstöðum. Hún stundaði píanó- og tónsmíðanám við Tónlistarskólann í Reykjavík og lauk burtfararprófi í tónsmíðum árið 2008, B.A. gráðu í tónsmíðum frá Listaháskóla Íslands árið 2011 og M.Mus. gráðu frá Hochschule für Musik und Theater í Hamborg árið 2014. Hún hefur sótt fjölda masterklassa og námskeiða í píanóleik, tónsmíðum og spuna. Hún hefur fyrst og fremst samið kammertónlist fyrir hefðbundin hljóðfæri en einnig tónlist við innsetningar, vídeóverk og hreyfimyndir í samstarfi við íslenska hönnuði og ljóðskáld. Þá hefur hún starfað sem píanókennari við Tónmenntaskóla Reykjavíkur og Nýja tónlistarskólann, framleitt útvarpsþætti fyrir RÚV auk þess að hafa starfað við þýðingar um árabil. Hún er formaður Tónskáldafélgas Íslands og formaður STEFS. Þórunn Gréta Sigurðardóttir received basic musical education in piano performance at music schools in East Iceland and graduated from the Junior College in Egilsstadir. She studied piano performance and composition in Reykjavík College of Music and completed a pre-diploma in composition in 2008. She furthered her studies in composition at Iceland Academy of the Arts, completing her B.A. in 2011, and at Hochschule für Musik und Theater in Hamburg, Germany, completing her M.Mus. in composition in 2014. 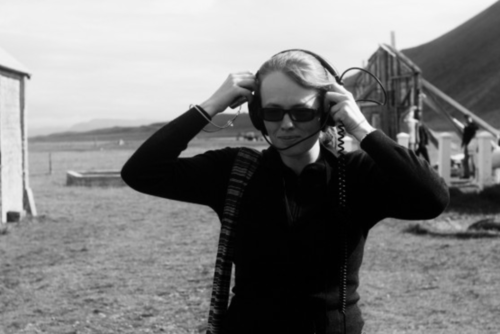 She is the Chairman of the Icelandic Composer Society and Chairman of STEF. She has attended several masterclasses in composition, piano performance and improvisation in Iceland, Denmark, Norway, Sweden and Germany. She has composed concert music as well as music to installations, video art and animation in collaboration with visual artists and poets.